“We love when Coach Uncle comes to training and everything is ready, I do not like waiting and he makes sure we do not wait,” said ten year old Mala from Salt Lake Dhapa, a rubbish dumping ground on the outskirts of Kolkata. 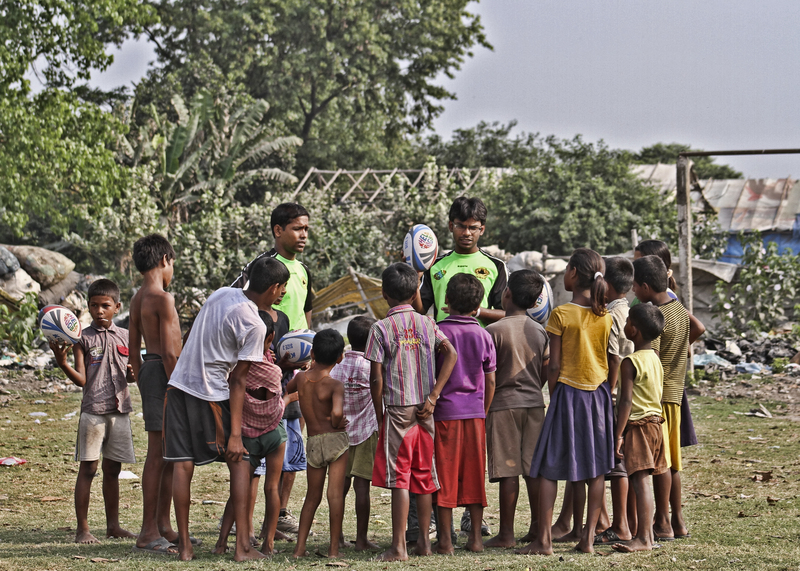 Now with over two thousand children enrolled in more than 30 communities with over 100 hours of coaching every week we felt it was a good time for Khelo Rugby to step up and add a new dimension in for 2014. We’re always thinking about what we can give back to the children that train and play with us? What can we do to better support their communities? So we went back to the drawing board and thought through the children’s situations. The initial idea of Khelo Rugby came from within the community and from our personal life experience growing up in these communities. At first this was just the need for organised sport and having someone around for life in general. When most of us were growing up we did not feel or think much about sharing our problems with our parents because we did not have a space or environment to do something like that. A space where one could be free to release, a space where one will not be judged, a space where problems are not heard only to be solved but where someone is always there to listen to you, someone who would try to understand and say everything will be all right. 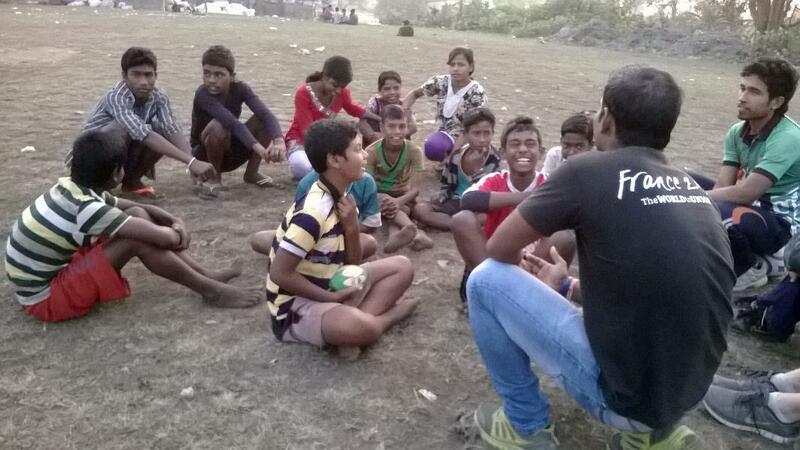 In 2014 we’ve launched “Chai and Charcha” a pilot programme that in a way formalises work that our Coaches already do. Chai and Charcha literally translated would mean something like tea and a chat. The concept is that the Coaches will have more regular sessions with the children where they can sit down and share a little of what is going on in their lives. We’ve started in Kolkata and we are training our seven Community Coaches to better understand their job as role models and specially as mentors for their Children. We know this is a long process and it will take time for the Community Coaches to learn how to deal with difficult situations but we also know the Coaches come from the same communities as the children and they have a better and much deeper understanding of the community and situations faced by the children. The Coaches are being trained under professional and qualified counselors and psychologists in confidence building, mentoring, active listening. We know they know how to be a good friend to the children so we hope these new skills will build on this. This isn’t a one month process and it won’t always be an easy journey so we are giving the Coaches plenty of time to feel comfortable in developing these skills. Our first “Chai and Charcha” workshops have taken place and our Coaches are happy to be learning new things and there is a real buzz to see something they have informally been doing get recognised in this way and taken on. And after two and a half years of constant hard work and sweat we hope we can bring even more good things to the children of Khelo Rugby.